Last year, the tragic death of a student in a school bus accident prompted California legislators to take action. Late last month, according to a recent article in the Whittier Daily News, a 19-year-old autistic teenager was left unattended in the back of a bus on a particularly warm day. 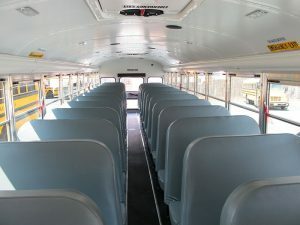 At that time, no protocols were in place to require school bus drivers to check individual seats to ensure that no children were present on the bus. At the same time, school buses were not required to have alarms to help ensure that no kids are left unattended on hot school buses. Given the frequent high temperatures in Southern California, it is extremely important to have standards in place to ensure that children are safe when they take the bus to school or to school-related activities. Now, as the article explains, Senator Tony Mendoza’s proposed legislation, S.B. 1072, passed the California State Senate unanimously at the end of last month, and now the bill is just waiting for a signature from Governor Jerry Brown. Senator Mendoza proposed S.B. 1072, as we mentioned above, in response to the death of an autistic student who, according to an article in School Transportation News, was “left behind on a school bus during a Southern California heat wave last September.” If the bill becomes law by September 30, 2016, its requirements will need to be implemented by the beginning of the 2018-2019 school year. Installation of new safety equipment on school buses, specifically a “child safety alarm system” to ensure that kids do not remain on the bus once it is parked. If your child got hurt in a school bus accident, a dedicated San Diego bus accident lawyer can help. Contact the Walton Law Firm today to learn more about how we can assist you.